So, California has been on my list to visit since the moment that we left our vacay back in 1999. It’s the weather, the atmosphere, and the scenery that gets me. When I started to plan this girl’s trip a few months ago, I knew that Palm Springs was on top of the list. I’m already itching to go back, y’all!! HA!! Palm Springs is such a magical place to explore and to take lots of phenomenal photos. 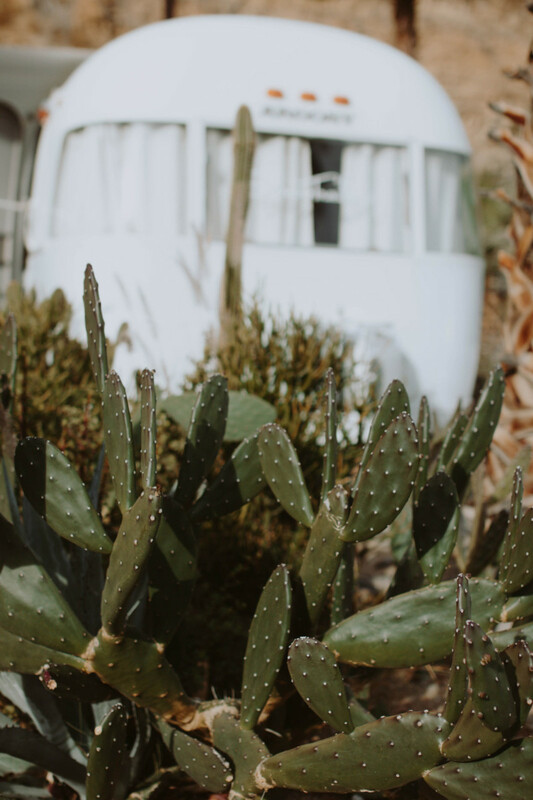 From the famous pink door to cacti everywhere, there are so many places to go and things to see. We did fly into Los Angeles (it was cheaper) and rented a car. But, first things first, I’m a realist…. haa, I had an Iggy moment while typing. But, seriously, important things first, lodging is what I am most picky about when traveling. I didn’t want to stay at stiff hotels on our entire trip. Part of my dream was to actually tour California in an Airstream, but my hubby said no. So, I found one on Airbnb owned by the Silver Trailer. Y’all, it was heavenly. From the landscape to the layout to the design to the location, it was perfection. It was such a great price too. And, the owner, Kristiana, had LaCroix waiting for us in the fridge. YES!! .This park is technically not Palm Springs, but it’s only an hour away. It is worth it. They have trails in the park and so much to see. We just wanted to drive around to capture in the sights & take photos. We spent around 2 hours total driving from one end and to the other. But, you could spend an entire day in this park. And, it’s only $25 per vehicle. 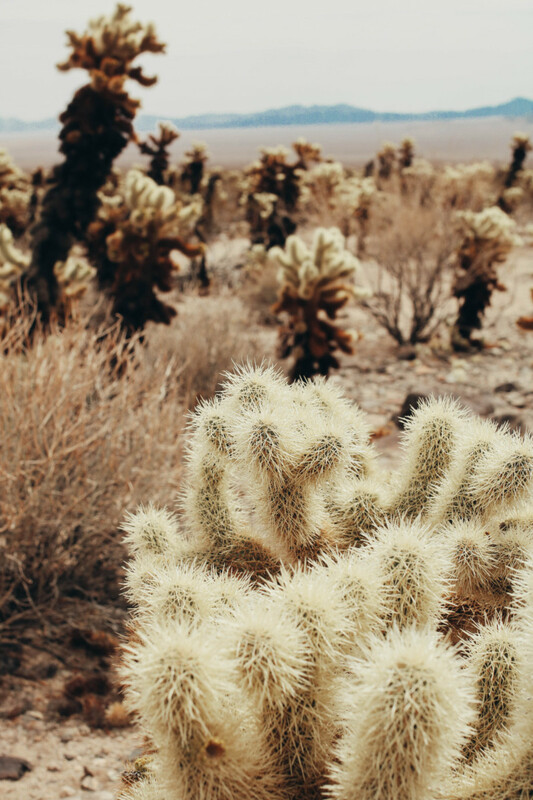 We had to make sure to make our way to the Cholla Cactus Garden. It’s so magical. Just watch out for the hazardous cactus. They literally jump like fleas and attach to your clothing, shoes, and skin. 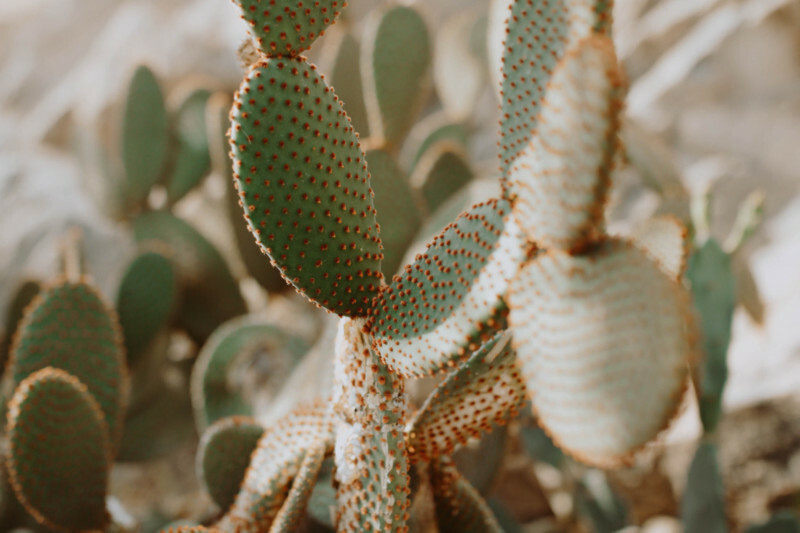 We were all victims to these cactus needles. But, it was worth it. 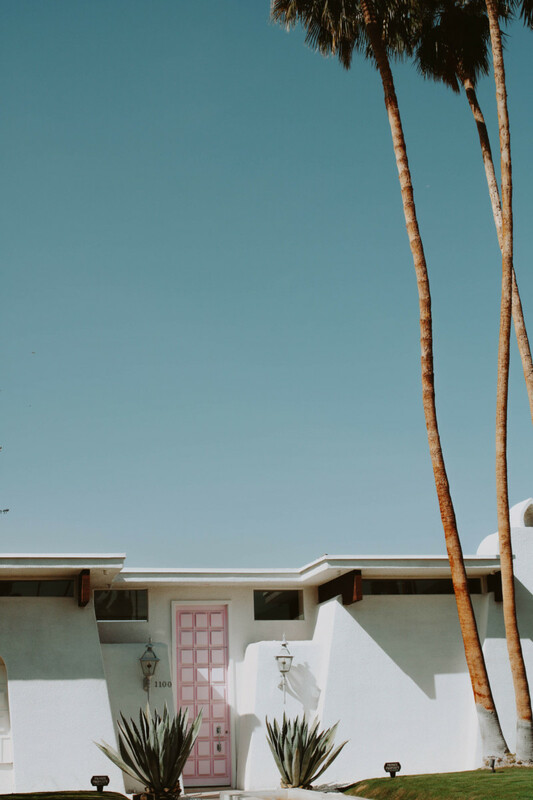 The famous house in Palm Springs is just as divine in person. The midcentury design in Palm Springs is simply perfection. The bubble gum pink doors and those blue agave plants are fabulous.. Sadly, people have taken advantage and abused the privacy of the couple who owns this property. So, now, they posted signs in the yard “private property” and “no photography”. I took pictures from the sidewalk and street out of respect for their wishes. The address for the house is 1100 Sierra Way, Palm Springs. Just down the road from our Airstream and other popular hotels. They have so many other houses that are darling too. This is a must place to visit. 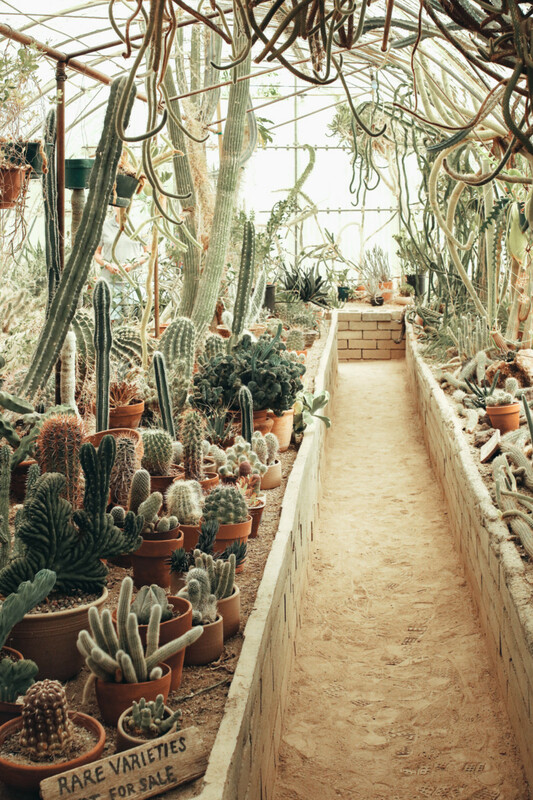 It’s only $5 per person, and you can take hundreds of pictures of rare cacti. 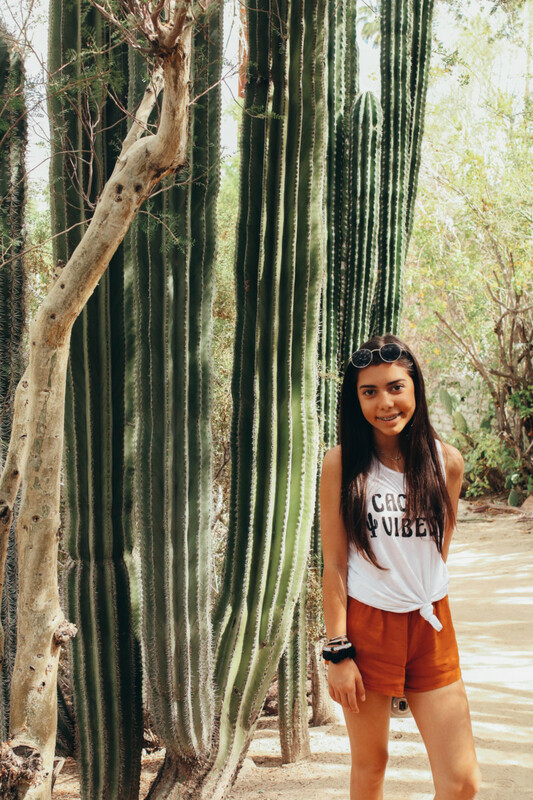 The cactarium was another dream come true moment. I tool probably 75 pictures in there alone. They also have cactus for sale ranging from $2 and up. My daughter and Chanel bought a few, and they boxed them for us. And, you can carry them onto the plane. The address for this garden is 1701 S Palm Canyon Dr, Palm Springs. Native Foods Cafe’ – They serve the best Vegan food in the world. I was in shock. The plantain chips and green salsa was delish. My sandwich with Vegan bacon and portobello mushrooms was out of this world. I might become a Vegan because if this meal. HA!!! Parker Hotel – it has a cool entry and lobby area to take pics or to just chill by the fire. Yes, they have a pit in the lobby area. We ate lunch here, and the food was good (BUT, SO pricey). The pool is only accessible for those who are staying at the hotel. I was bummed because it is presh. 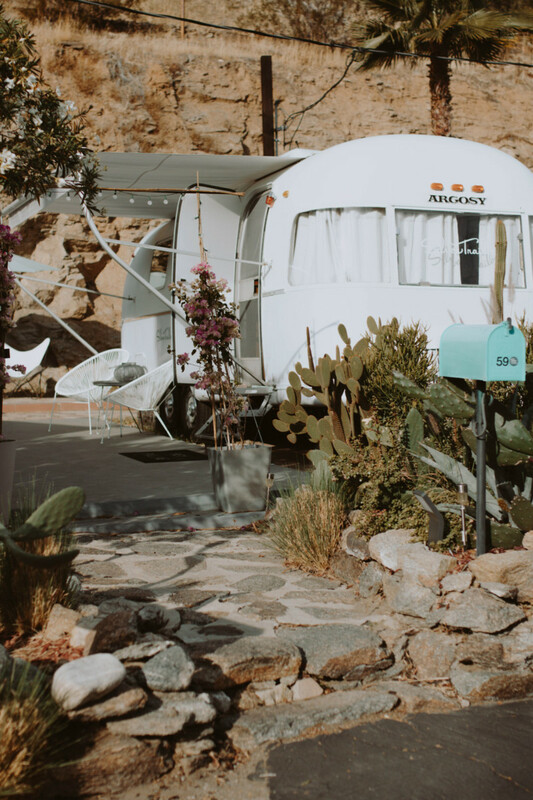 The Saguaro – The most colorful place to stay at in Palm Springs. It is so fun!! ACE Hotel – Midcentury heaven is my best description. They have a nw mural too!!! Thanks for tagging along part 1 of our trip. Stay tuned for part 2. I love Palm Springs! That Botanical Garden looks so fun! I’ll have to check it out next time I am there! 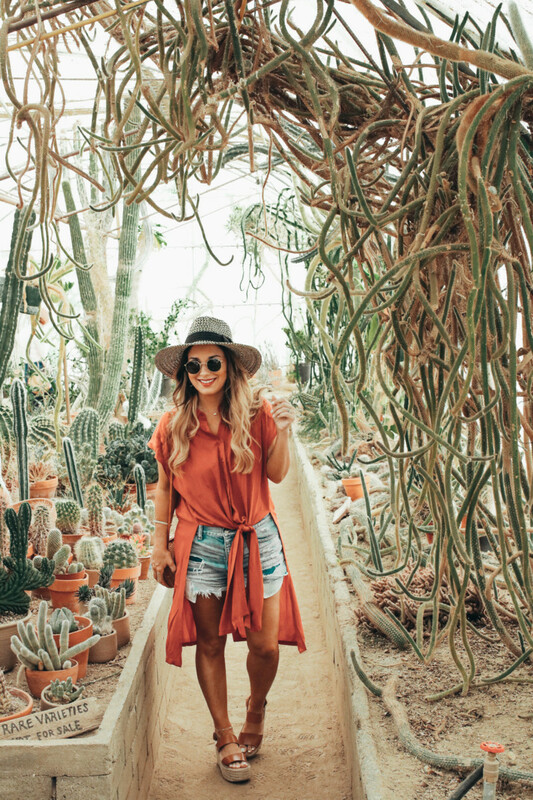 Southern California has some of the best Instagram-worthy spots! I love the desert vibes inspired outfits! Oh I so want to go visit Palm Springs now! I’m going to bookmark this for future reference 🙂 Thanks for posting! I am totally planning a trip to Palm Springs this year! This guide is perfect, thank you so much for sharing. I’ve been dying to go to Joshua Tree! It looks beautiful! I have been to California so many times but still have never made it to this area. These pictures make me want to go! I would love to go to Palm Springs! All of those places look interesting. I’ve never heard of the Moorten Botanical Garden. It looks really cool. And I would definitely have my camera so that would make it even more fun. As long as I didn’t get pricked by any of them! It looks like you guys had a good time. Oh my gosh these pictures make me want to go to Palm Springs right now! I would love to try and go there next year, I haven’t been to California in so long! Your vacation looked absolutely perfect!! Can you pack me in your suitcase next time!? The national park and the botanical garden look absolutely gorgeous! What gorgeous photos! Love these recommendations, and will have to refer back when I eventually get to Palm Springs (which hopefully will be sooner than later)! 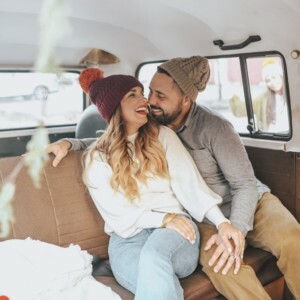 I love that you stayed in an airstream!! I’d love to do that sometime. Also, love your outfits and great recs on places to go while in Palm Springs! Such gorgeous photos- looks like a great trip! What a cute place! I don’t like too far from it and I can’t believe I’ve never made it down there to visit! This is such a great post!! I love Palm Springs – it’s such a unique little place! Your photos do it justice! Love this! Thanks for the info! Some of my girlfriends & I (all scattered across the country) just started talking about a potential girls weekend in Palm Springs! Keeping this post close for a guide! Palm spring and Joshua Tree are on my list for this year! They look like the cutest places. 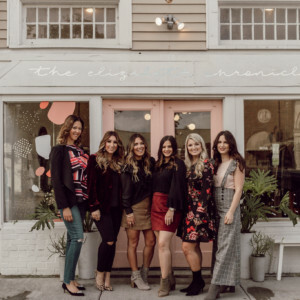 Your blog photos are everything! This is officially on my list of places to travel. I still have not been to Palm Springs! I totally want to go there now! It looks like so much fun! ahh palm springs looks amazing, i hope to visit one day! How fun! I have been dying to go to Palm Springs for a visit! I totally want to go there now! I’ve always wanted to visit Palm Springs!! These photos are gorgeous!